Several weeks ago, Jason and I were live on Facebook celebrating Margarita Day at Jimmy Buffett’s Margaritaville, located at Broadway at the Beach. It only seemed fitting to try out Jimmy Buffett’s little sisters new dining and entertainment spot in Barefoot Landing. 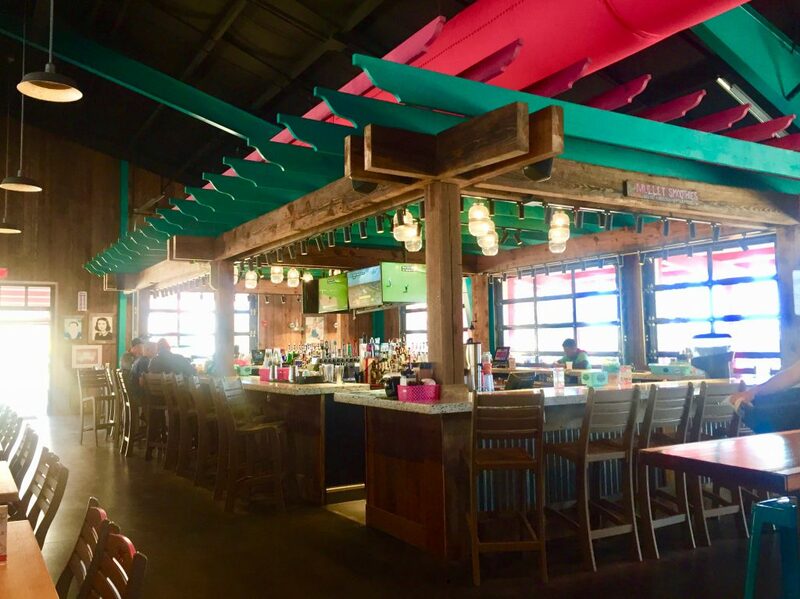 Welcome to Lucy Buffett’s Lulu’s; a place where food, family, and fun all connect! A vibrant gift shop, huge beach bar, and array of indoor and outdoor seating surrounded us as made our way into the 17,000 brightly colored restaurant. As true vacationers that Jason and I are, we decided to take the outside area overlooking the Intracoastal Waterway for a fantastic view. The gulf coast inspired menu is host to many delicious burgers, shareable appetizers, and fresh seafood. There is also a variety of sandwiches, salads, and delectable sweets such as the key lime pie! Many recipes were inspired by Lucy Buffett’s Alabama Gulf Shores upbringing. After lunch, Jason and I made our way around the rest of Lulu’s property. Namly to Lulu’s Beach Arcade which opened up less than a month ago! Skee-Ball, Grand Piano Keys, and Super Shots Basketball are just a few of the arcade games we were able to play. 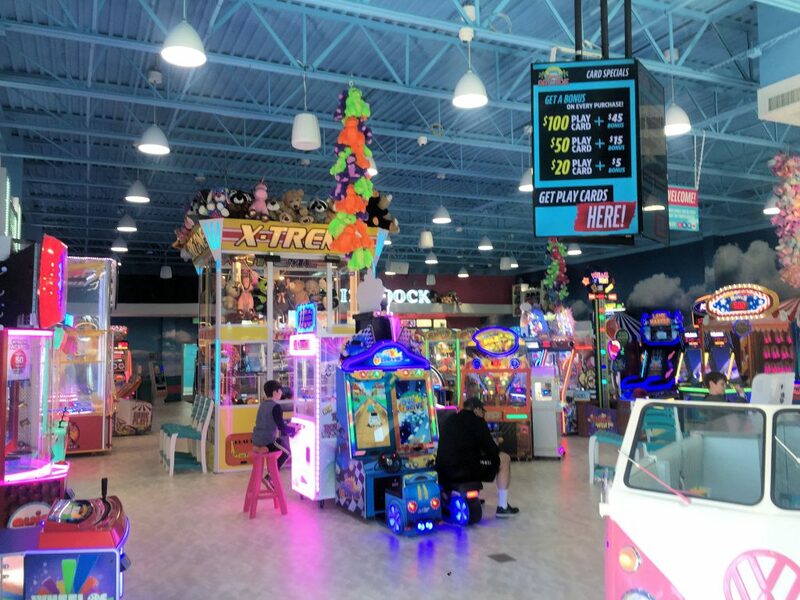 The arcade is great for children and adults. Besides the lively arcade and delicious restaurant, there is also a large sandy beach area on the property. Come enjoy drinks, listen to live music, and soak in the Myrtle Beach rays. If you would like something more active, gather up a team and play a round of sand volleyball or climb the three foot story ropes course. 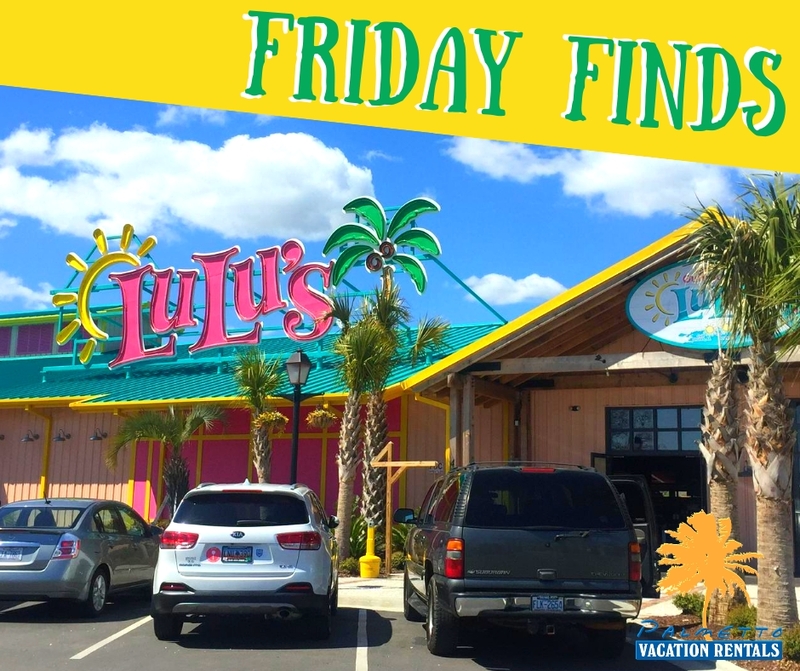 Lucy Buffett’s Lulu’s in North Myrtle Beach connects food, family, and fun into one truly incredible experience! Lulu’s is a fantastic choice to unwind and kick back into the island lifestyle on your next Myrtle Beach vacation with Palmetto Vacation Rentals. Lulu’s has live free music every night from 5 to 9 pm. There is also an upcoming Easter Egg Dash on April 21st at 2pm. Originally from New York, Alison Lashower moved to the Myrtle Beach area with her family twelve years ago. Gamecock at heart, she graduated from the University of South Carolina with a marketing and entrepreneurship degree in May of 2017. When Alison is not spending time taking photographs around the Myrtle Beach area, you can find her writing, dancing, or on some type of adventure. Fun fact, she just spent this past year living abroad in Cape Town, South Africa!